Last Monday, Sony announced to fans on Facebook that a new smartphone was about to be released, and excited fans by running an ad campaign that allowed users to press a “fast forward” button on the release. After clicking the button, a few seconds were taken off the clock, giving fans and consumers control of when the device would be released. Not a bad strategy right? Fans also seemed to like the idea, and after 25,941 people pushed the button, the new device was revealed. 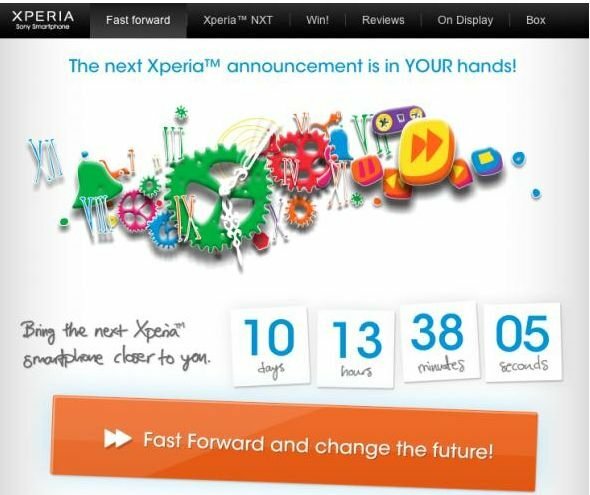 The good news is that 2 new Sony smartphones, the Xperia Miro and Xperia Tipo, were unveiled. The bad news is that after all that hype, the entry/mid level specs on the phones have seriously angered lots of Sony fans, and they didn’t hesitate to lash out at Sony on Facebook with plenty of four letter words, as you can see in their posted FB comments below. Before you have a look at the angry comments, here is the partial spec list Sony has released so far for the devices. Pretty brutal stuff. Maybe Sony should tweak their marketing strategy a bit next time? What do you guys think? Are the reactions from fans justified? I have to admit myself that after all that hype, I was expecting a little more from Sony. I would expect the same. I just wish Sony would have confirmed pricing though. Will update the thread for you as soon as I get it confirmed. they seen to be harsh but I will reserve judgement until I buy one, as soon as the pricing comes down. Although I am an entry level user, I'll expect easy tutorial use.